I realize that we have shared a couple of quick parfaits here before but it is quite nice to have a few different desserts to choose between when late night cravings set in. Our Apple Crunch Parfait seems to have become quite popular (not only in our house) and this new parfait is just as good. Easily explained, it’s a chai spiced chocolate chia pudding topped with a lush and creamy raspberry mousse made from only 3 ingredients! 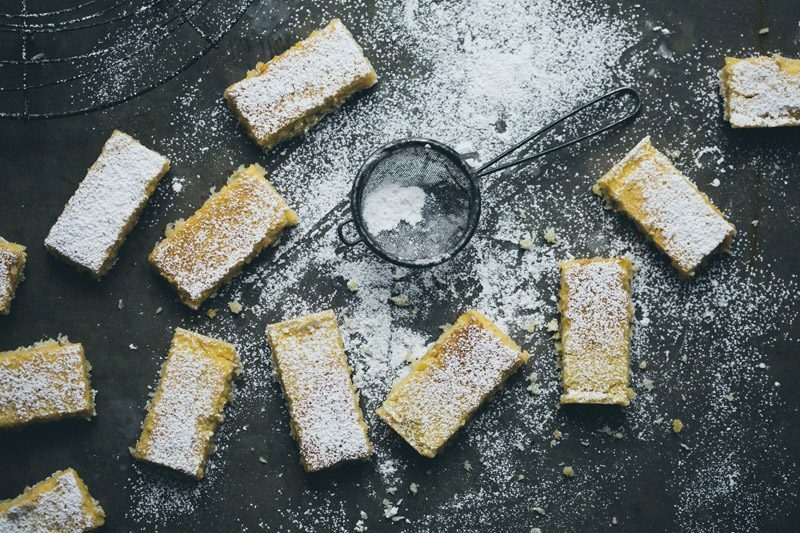 It’s one of those happy coincidences when a really simple recipe also turns out to be deliciously addictive. I could eat the mousse with a spoon straight from the food processor (and I do when David isn’t watching) but turning it into a parfait feels a little classier. This is usually served a sweet snack or simple dessert in our family but I guess it could be a pretty awesome breakfast as well. We claim that this is an easy one to make. 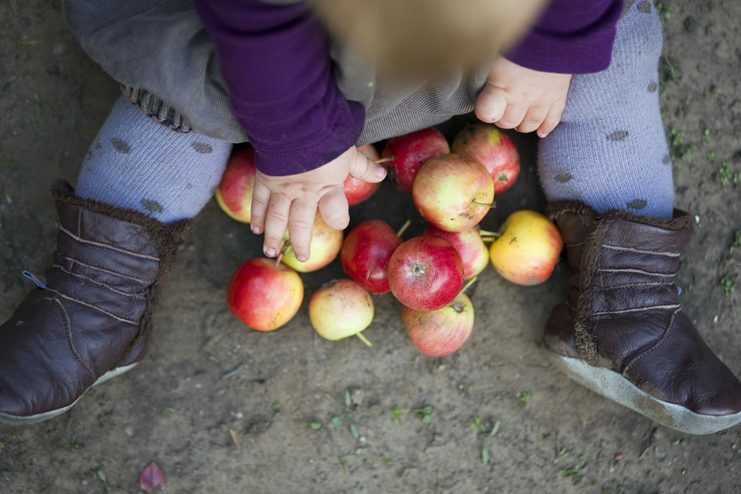 As a matter of fact, it is so simple that even Isac, our 18-months old toddler, can make it (well kind of). Just press play on this little video below and you’ll see for yourselves! 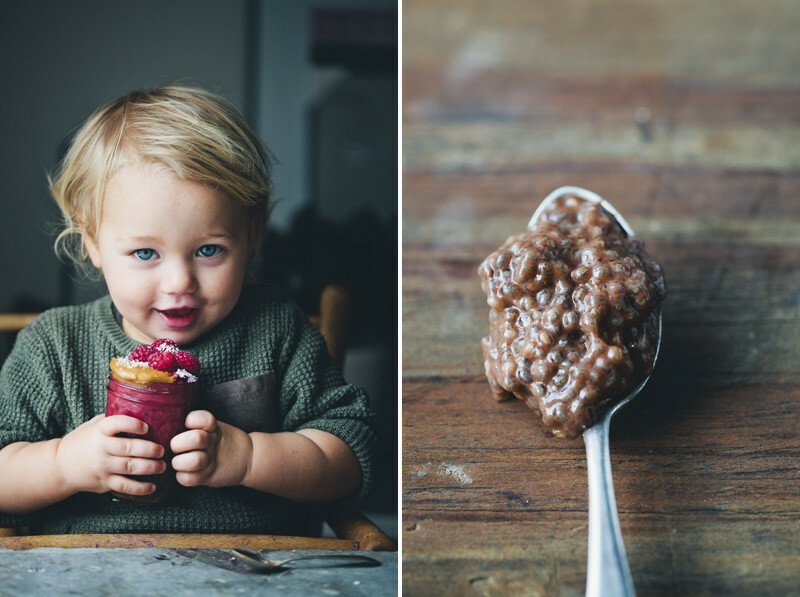 Chia pudding is one of Isac’s newest obsessions. I can’t believe his shirt looks so clean on these photos as he normally pour those jelly seeds all over himself in an attempt to gobble a full glass in less than five seconds. He sure is a speed eating little monkey. Whisk together chia seeds and plant milk in a bowl. Measure the spices into a small bowl, stir and then add them to the chia mixture along with cacao powder and salt. Whisk until all is mixed and there are no lumps. Leave to soak for 30 minutes, whisk one or two times in between to make sure it stays smooth. Prepare the raspberry mousse while the chia pudding is becoming thicker. 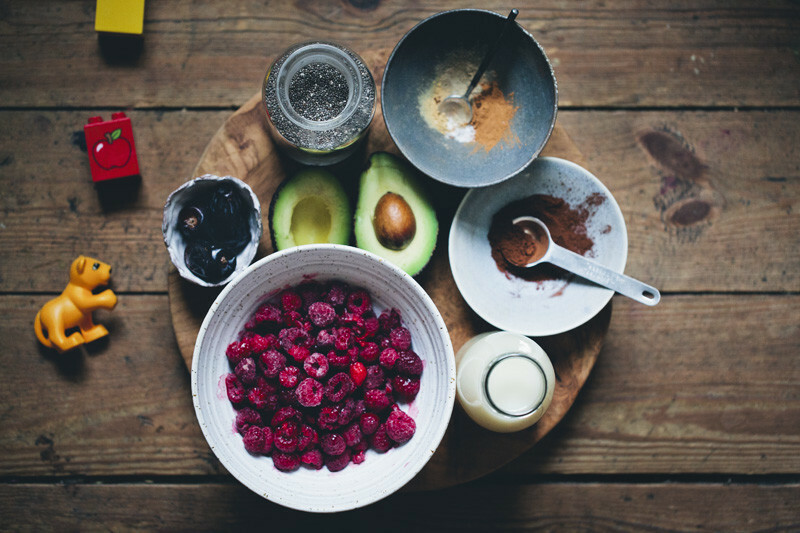 Add raspberries, avocado and dates to a food processor. Run on high speed until smooth. 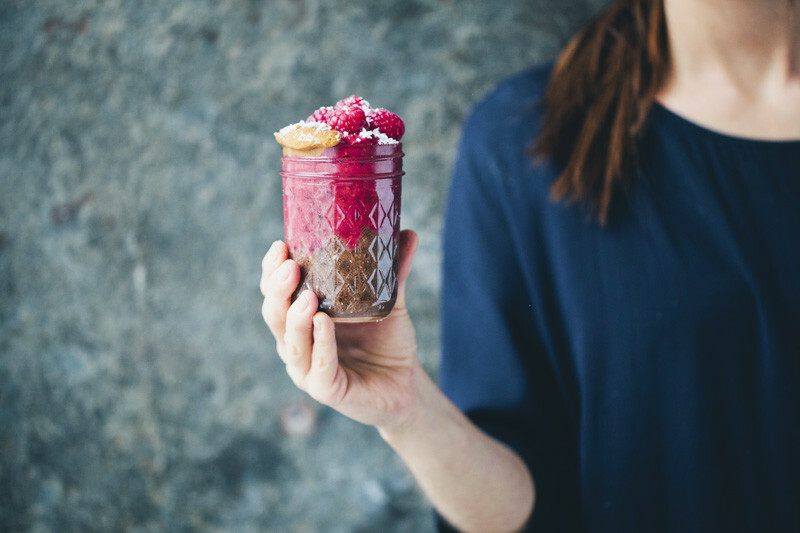 Layer the chocolate & chai chia pudding with the raspberry mousse into two glasses or jars. Keeps in the fridge for 2-3 days in sealed jars without the topping. Wauw! Wonderful movie and lovely recipe! I don't like cacao. 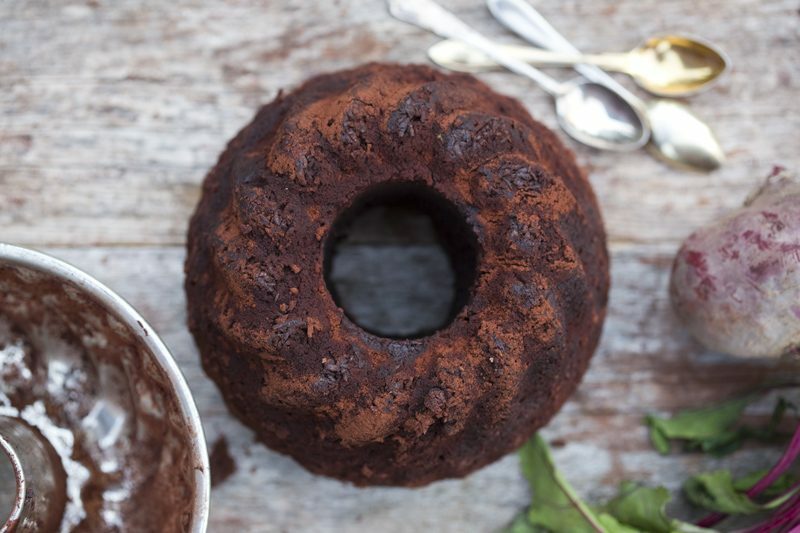 Can I leave out the cacao? And do you have a alternative? Thanks for your respons! Mouth watering, heart melting. Parfait indeed. Isac is positively adorable. Oh boy this looks delicious! Chocolate, chai and raspberries sounds like a wonderful combo. Can't wait to try, specially the raspberry mousse. And Isac is such a cute little kitchen helper :) what a beautiful family you are! What a charming video! This looks so delicious and fun to make - simply can't resist this one! I have still yet to make chia pudding. I have no excuse. This may be the one to shake me out of my chia-pudding-less stupor. Absolutely yummy!!! And overly adorable too :) guess that now the blog subtitle deserves an update: Healthy vegetarian Recipes by David, Luise, Elsa & Isac. Best regards! Ok, that's pure awesomeness in a glass... I. Want. It. Now. Kind of. ? Love, love, love this! Your family is the cutest. 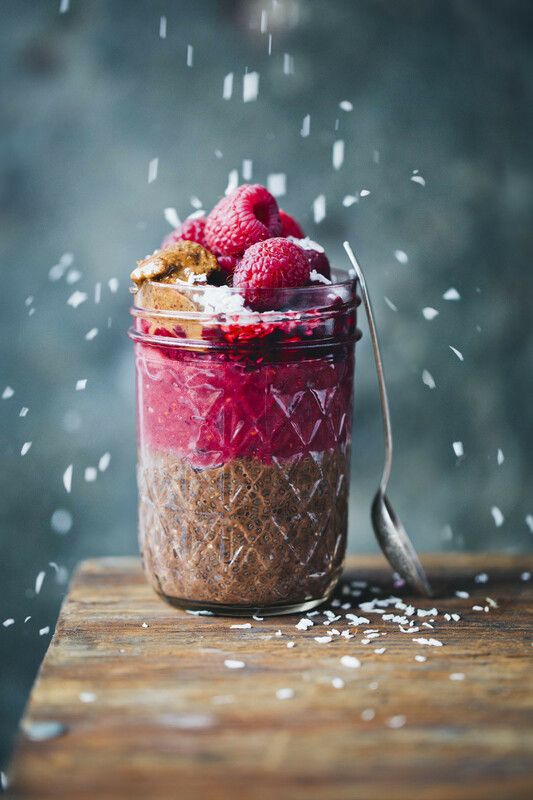 And this chia parfait looks divine! Love that your lil' guy is cooking with you! And this is such a beautiful parfait...so many colors and chock full of nutrition! Ripe avocados being tough to find these days, any good alternatives there, plant or dairy based? David, it worked pretty great. Thanks. U.
Wow, this looks incredible and the video is exceptional! And also, Isac is so beyond word adorable! Your blog is such an inspiration!!! 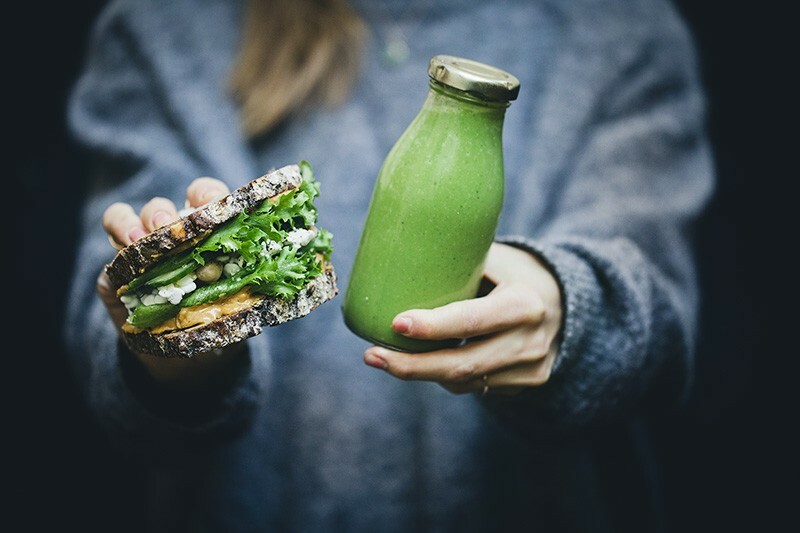 This does looks great, I think I'd make the chai part the night before and maybe add some porridge oats and a banana to it and then have it for breakfast with the suggested nut butter. The parfait looks amazing and if I was feeling particularly organised I'd make this too. In the week the only way I manage to have a healthy breakfast is if I make it the night before and I just have to grab it and go. I shall add this to my list of morning breakfasts and if I prepare it this Sunday, it might make Monday morning that little bit easier! Great idea, can't think of a better treat to lighten up a Monday morning! Just have to try this :) Beautiful pictures! I can't believe you're using avocado in the raspberry mousse: it seems so clever! I can't wait to see what it tastes like. I really love the photos, gorgeous as always.